Saving money and earning rewards is always a great deal - especially when those rewards can help feed my Disney habit. A few years ago, I signed up for a Disney Rewards Visa credit card from Chase and have really enjoyed some of the perks. There are two different kinds of cards - the standard card and the premier card. I have the standard card so I can't speak to the added benefits that come with the premier card. If you've ever wondered if the Disney Visa is right for you, here are some reasons why I've loved my card! 1. Earn Disney Rewards Dollars - Every purchase on my credit card earns me 1% back in Disney Rewards. These reward dollars can be spent on Disney vacations and in Disney stores. 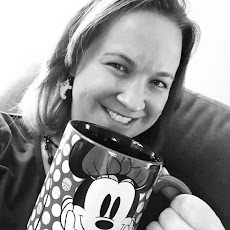 So whether I'm planning my next cruise, dreaming of a dole whip, going after the latest Pandora charm, or saving up for a new Disney Dooney and Bourke, the rewards can add up to make a big difference. 2. Discounts - Who doesn't love a discount? And Disney offers a few special ones to their credit card holders. You can always get 10% off a $50 or more purchase at The Disney Store and at most retail locations on Disney property. In addition, credit card members will occasionally get a headstart on sales from The Disney Store and a few days jump start on vacation package discounts over the general public. When you pay for you Disney vacation with your Disney card, you can also access special financing perks to make your vacation even more affordable. And don't forget to check for restaurant discounts on Disney properties as well! 3. Epcot Character Spot - This exclusive character meet and greet is for Disney credit card holders only which means the lines are usually much shorter to meet some of the "Fab 5" as opposed to other park locations in Walt Disney World. You can also get a free 5 x 7 picture of your family's visit! 4. 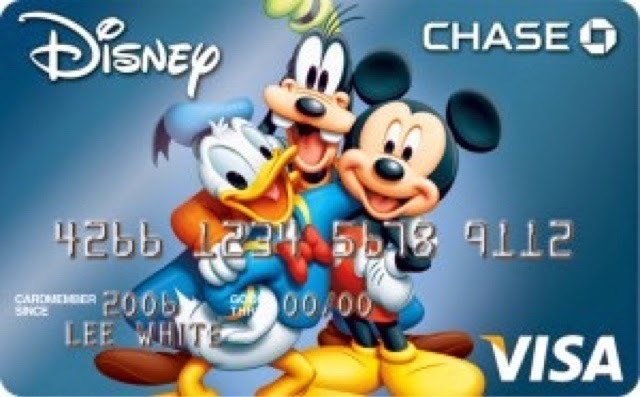 Show Your Disney Side Everyday - While this is the only perk that doesn't have a financial side to it, I think this might be what I like best about my Disney credit card. There are so many cute designs to choose from and I get comments almost every time I use my card on how adorable it is! I'm always looking for ways to show my Disney Side and this is one small way I get to do that. I love having a credit card that goes to work for me so I can have a little more Disney in my life!